A question I often get asked is whether or not street photography needs to include people. It was a topic that fascinated me, so I even posted it to my Facebook fan page for the community to discuss. I have talked to many street photographers about this, and the vast majority of the consensus is that street photography doesn’t necessarily have to include people. However if street photography doesn’t have to include people, how can we differentiate those types of images from any other genre of photography? Simply put, I feel that effective street photographs without people show the uncanny of everyday life, while showing remnants of humanity. Keep reading to see how you can effectively shoot street photographs without people in it. Recently when I taught my street photography workshop in Brighton, I had the great pleasure of having David Gibson as one of my guest speakers. When he did his part of the presentation, one of the things that he emphasized that people don’t spend enough time looking up. When you look up, you often see fascinating things that you don’t typically notice that happens on the ground. Whenever you are out, don’t forget to look up. It is not only people that have faces, everyday objects often have faces as well. Whenever you are out on the streets, look for faces in strange places. 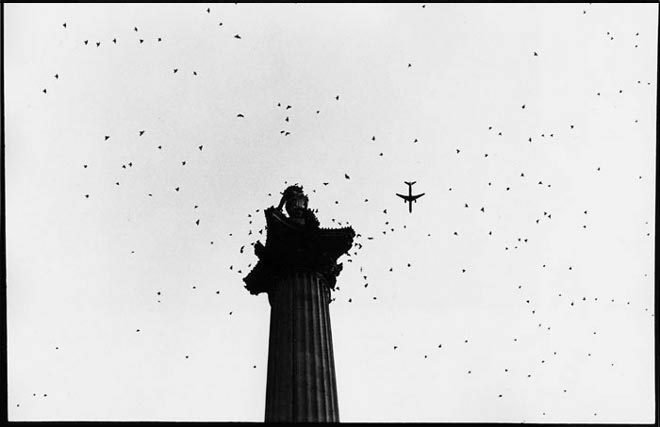 For example, look at this image shot by Jesse Marlow. 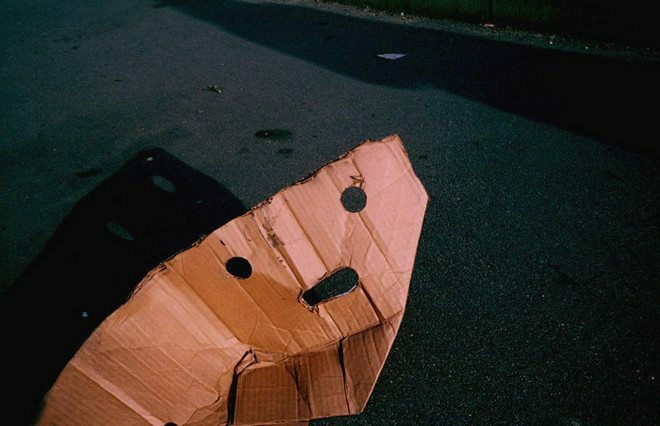 It is an image of a cardboard box lying in the street with an uncanny looking face. Although it does look like a face, it doesn’t look anything like a human face– with the eyes far apart and the mouth as a small opening. It look almost more like an anime character than a human. If you keep your eyes open, you will be amazed how many faces you can see in ordinary objects (think electric outlets). 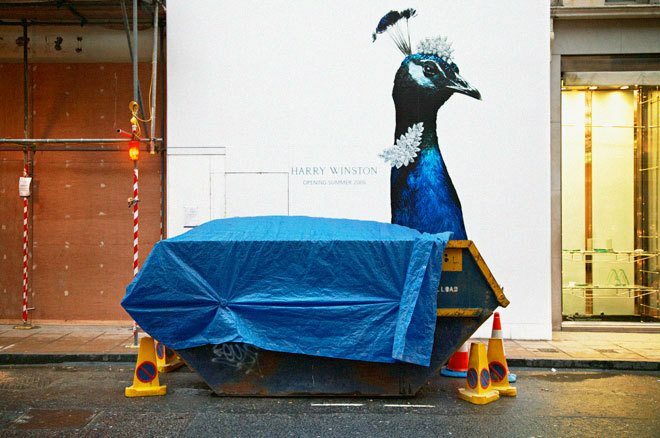 This image by one of my favorite street photographers, Matt Stuart. This image is extraordinary for several reasons, which includes the framing, the color, and the surreal aspect of the image as well. When you are out walking on the streets, look for the uncanny and unusual. These shots aren’t easy to come by, but if you spend enough time on the streets and shoot often, these opportunities will be presented to you every so often. When you are shooting street photography without people in it, creating complex images that have great depth gives the viewer something to feast their eyes on. 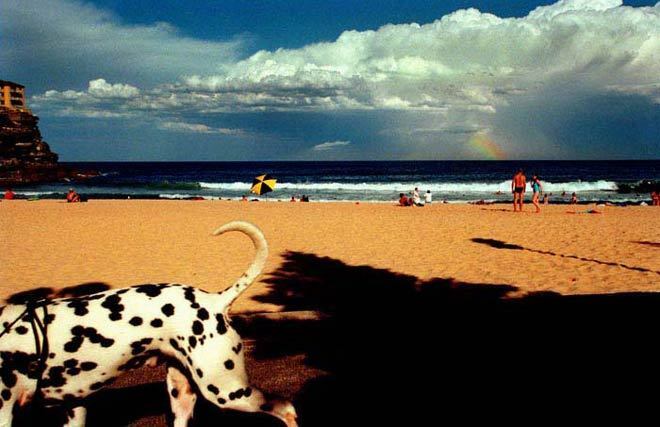 In this image by Narelle Autio, you can see that there is a ton happening in the image (dog’s tail framing the shadow, the rainbow near the couple, and the red and black umbrella on the left). I feel the more that I look into this image, the more fascinating things I will find. However be cautious not to create images that are too complex and don’t have balance. You can also note this image by Narelle is framed quite well, and doesn’t skew left or right in terms of focus. When shooting street photography, try to capture animals in provocative or raw ways. 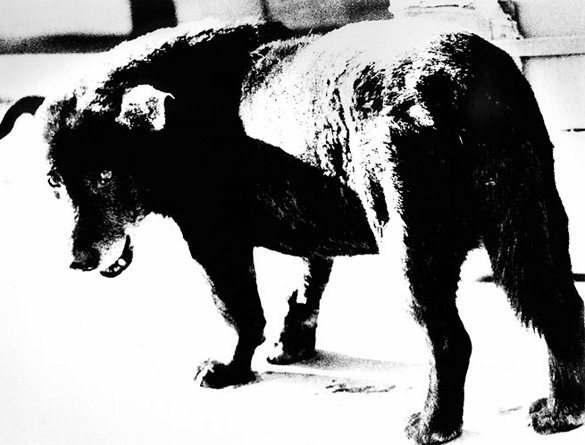 For example, check out this image by Daido Moriyama of a stray dog. The eyes of the dog look like those of a human, staring straight at you. Many other street photographers are famous for shooting dogs and animals, such as Elliott Erwitt. What are some tips that you have in shooting street photography without people? Leave a comment below and share your insights with the community!